December 7, 2011  The blood-letting in the central Syrian city of Homs has reached new heights. More than 50 people were killed in 24 hours, many of them kidnapped and murdered, allegedly by pro-government militiamen known as Shabiha. Homs and the surrounding province lie on a sectarian fault line with Sunni and Alawite communities side by side. 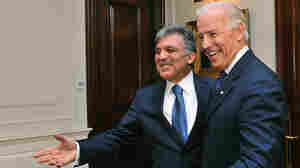 December 2, 2011  Turkey has been welcoming to Syrians escaping from their troubled homeland. And Syrian activists say they can still organize protests from exile. 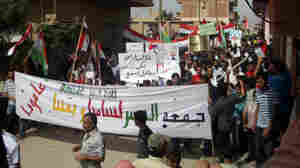 Anti-government protesters march in the village of Amouda, Syria on Sept. 30. For many Syrians, the protests mark the first time they have taken part in anything resembling politics. November 2, 2011  For decades, Syrian President Bashar Assad and his late father Hafez Assad did not allow any real politics in Syria. But the protests are teaching them how to organize. 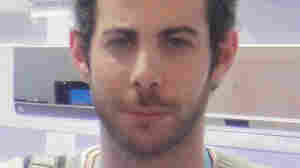 At his home in Syria, activist Rami Jarrah, 28, spoke out under the alias Alexander Page. Fearing arrest, he recently fled to Egypt. October 21, 2011  News of the Syrian uprising has come largely from activists who have taken great risks to get the story out. One of them went by the alias Alexander Page. 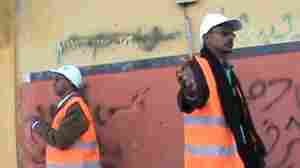 But he recently fled to Egypt and and is now speaking out under his real name, Rami Jarrah. In Syria, Can President Outlast Protesters? October 19, 2011  President Bashar Assad still has full control of the capital and has relied heavily on his security forces to limit demonstrations elsewhere. 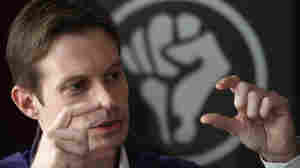 He has made no major concessions, and seems determined to defeat the uprising. 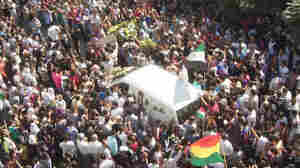 Mourners surround the hearse carrying the coffin of Kurdish opposition leader Meshaal al-Tammo during his funeral last Sunday in Amuda, in northern Syria. 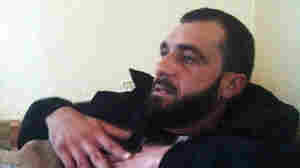 Supporters blamed the Syrian government for his death. October 16, 2011  Analysts say the Assad government appears to be relying exclusively on brutal repression, giving free reign to the security services to crush the revolt. 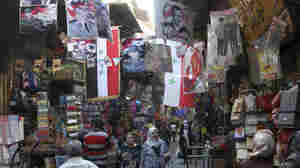 Syrians walk in the Hamidiyah market, decorated with portraits of President Bashar Assad and national flags, in the capital Damascus on Oct. 5. The European Union has intensified economic sanctions against Syria, but the crackdown against anti-regime protesters is unlikely to stop, Syrians say. October 14, 2011  This week, the European Union imposed new sanctions against Syria's government, freezing the assets of the Commercial Bank of Syria. 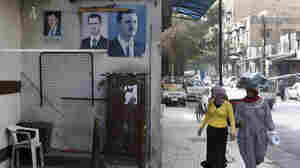 But despite how economic pressure is hurting ordinary Syrians, many say the sanctions are unlikely to change government policy. 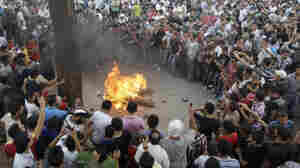 Protesters opposed to Syrian President Bashar Assad burn an effigy of him during Friday prayers in Tripoli, Lebanon. October 7, 2011  Russia has been closely aligned with Syria for decades and has opposed punitive measures during the current unrest. But the criticism by Russia's president shows that Moscow is losing patience.